This event schedule is FINAL as of 10/25/2016. The Florida State Championships will be a two day event; Saturday, November 5th and Sunday, November 6th held at Spruce Creek High School in Port Orange, FL. This year we have assembled an all-star team of fitness photographers to capture your lifts at the State Championships. Our media team includes Jorge Huerta Photography, dbthump, LTevebaugh Photographer and MNR Images. You have worked hard for this competition, don’t miss out on the opportunity to secure your memories from this special event. Registration is currently closed! We are unable to accept any additional individual entries past the registration deadline of Monday, October 24. 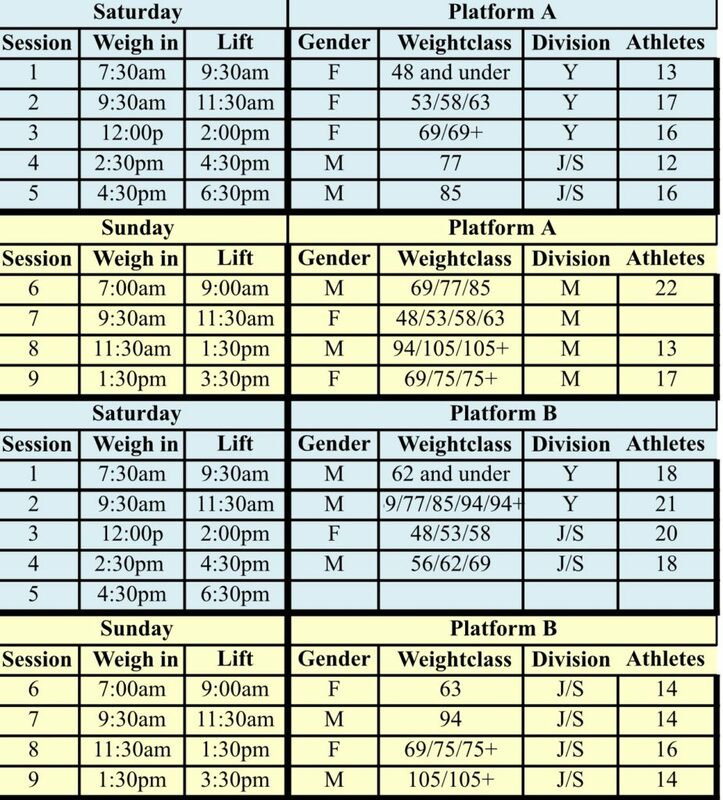 We will be offering an International qualifying session for Masters lifters with National-Level judges during the State Championships!